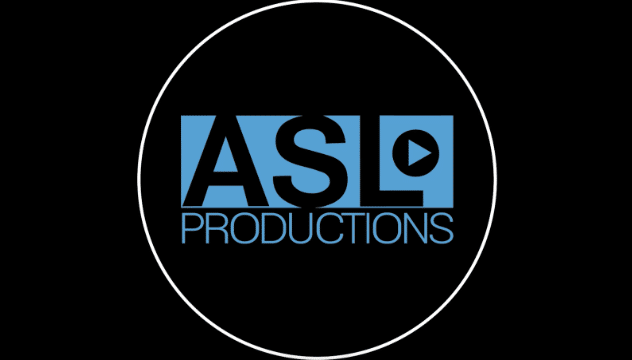 We hope you have an amazing summer weekend, BUT FIRST, read about the highlights from the last month of ASL shoots! ASL teamed up with Nielsen to cover their Consumer 360 2018 conference. We traveled to DC with a crew of four from New York and called on four more crew members from our local production network. We filmed C360 for a day and a half to turn around a highlight reel over night. We worked tirelessly and maintained intense focus to film, organize and edit the footage showcasing the best of Nielsen’s event. Take a look at our final video above. Heading west to Hudson Yards, ASL worked with Tapestry Brands (Coach, Stuart Weitzman, Kate Spade) to film their CEO, Victor Luis, and 13 year-old social influencer, Marley Dias. 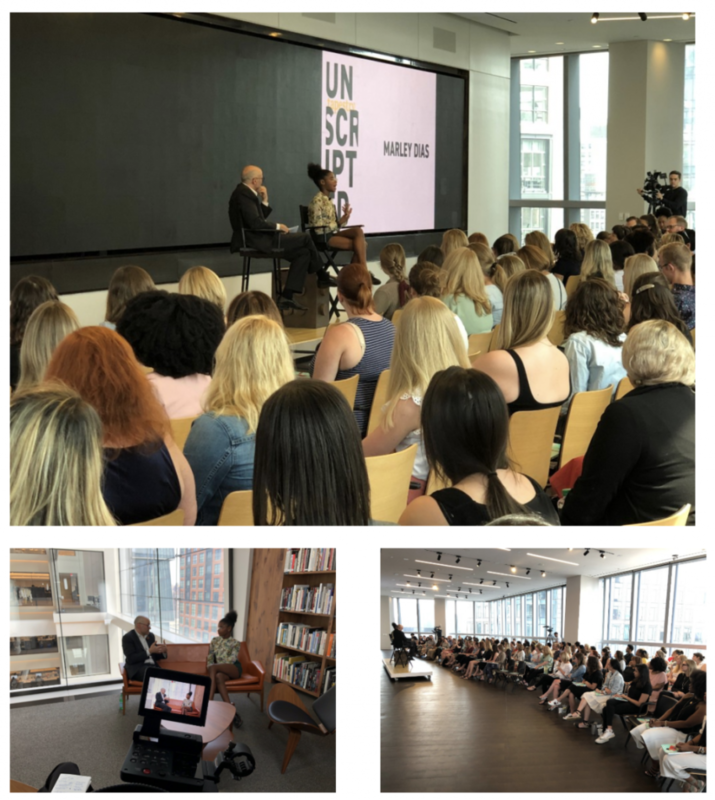 Marley wrote a book, “Marley Gets It Done And So Can You!” and spoke with Luis and a crowd of Tapestry employees covering topics including, diversity in the workplace, making a difference in your community and authenticity. The conversation was filled with inspirational and funny moments. Take a look at a few of those moments, above. Towards the end of the month, ASL accomplished a feat they said couldn’t be done. We were on location for five shoots, in five different cities, all in one day. You heard (read) us correctly. 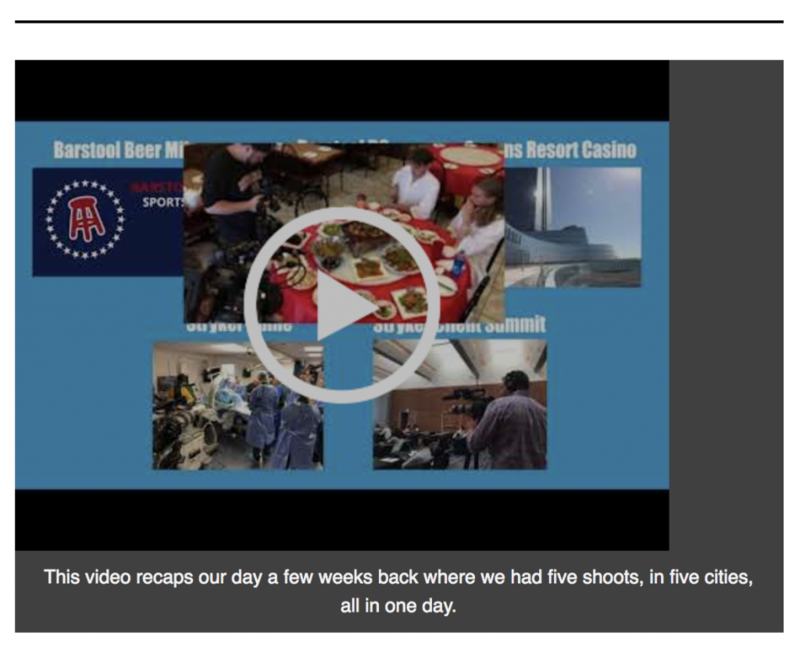 We had two shoots with Barstool Sports in DC and New York, one shoot with William Hill Sports Book at Ocean’s Casino in Atlantic City and two shoots with Stryker Spine in Allendale and Hoboken, New Jersey. Our ability to produce and crew each shoot speaks to our versatility and the depth of our production network. We made a video recapping our busy day. Take a look above. 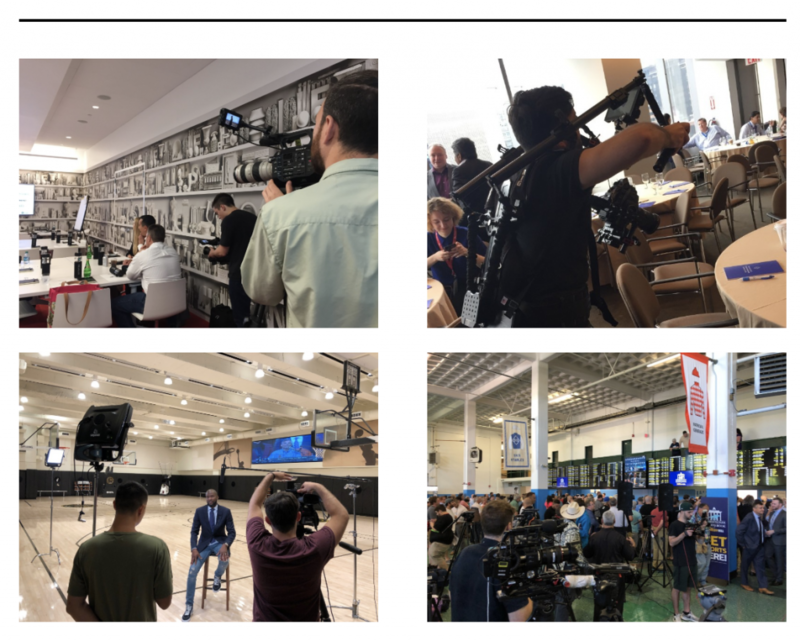 Other projects from ASL last month included conference coverage for Healix Global and The Blockchain Research Institute, filming a PSA for the National Basketball Players Association and covering the first day of legal sports betting in New Jersey at Monmouth Park Racetrack. Tune in next month to get all the behind the scenes nuggets from a wiffle ball game with Barstool, a VIP pool party at the Mansion at Glen Cove and a product shoot with BLOOMIES!